Yes, I did try making them out of PLA on my Darwin, but this exposed the software bug that Adrian is beavering away on, with some success. 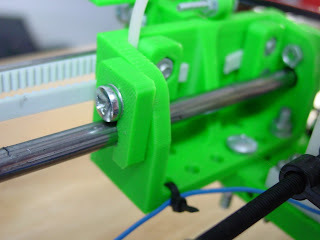 I'll just wait for confirmation from another source that they're worth putting on the RepRap and then I'll wiki them. Meanwhiles, if any cowpoke finds their carriage a little rattly on the rails, go git yerself some amazin' saddles.